Thank you for contacting JotForm Support. You can fully customize your Thank you page to show your form fields, however, you will have to add the questions yourself. A good way to do that is to set a table, that would have the question in one cell and its value in the cell next to it. 4. 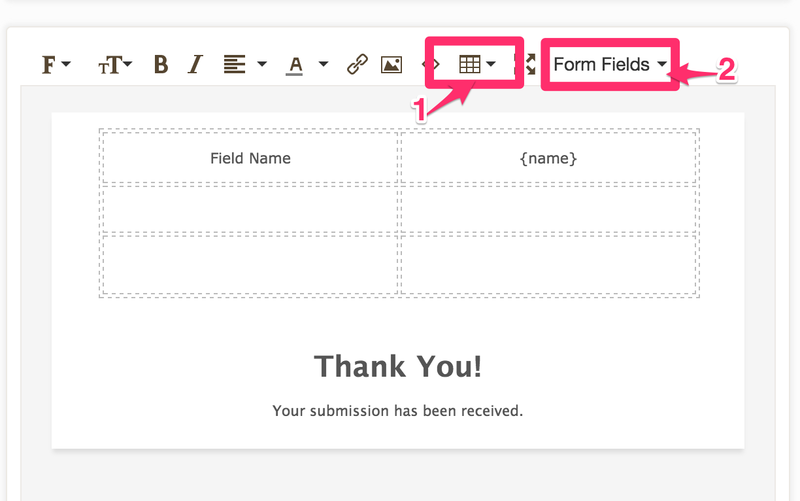 In the Thank you page body, use the table feature to create a table, and the Form Fields to fill in your fields where you want the submission value to appear. 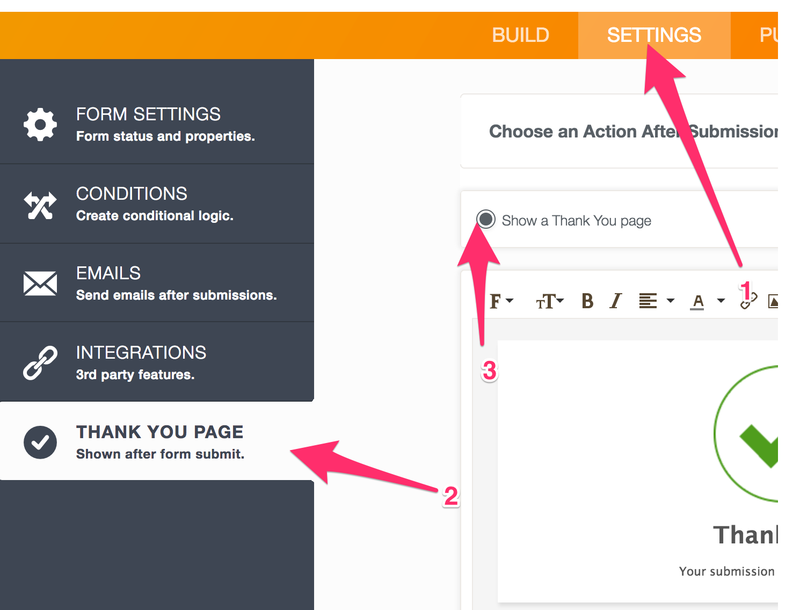 Alternatively, you can set up your own external Thank you page, and redirect to it after submission.